Some things just go together. Sometimes you can just take two things or even people and when you put them together magic happens. Peanut butter and Jelly, Brady and Belichek, spaghetti and meatballs, Mike and Mitch and cold beer on a warm day are some pairs you just can’t deny. 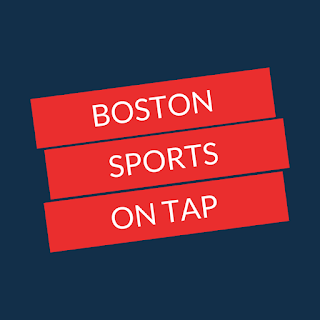 Well Boston Sports on Tap is about to reveal the newest dynamic duo…Matt Desrosiers (me) and Ryan Besse. This week Ryan was gracious enough to agree to collaborate for this week’s article. You should all be familiar with his work and if you’re not you are messing up and are probably already eliminated from your fantasy league playoffs. Ryan writes fantasy sports article for our site and is quite awesome at it. So how do two sports writers collaborate on an article? Well, basically Ryan gives you all high quality fantasy advice while I just sprinkle in DFS plays if you’re going to play the Thanksgiving Day slate along with some of my flair. Maybe I should let other people say I have flair. Either way I really enjoyed this colab or think we could be the best pair since lamb and tuna fish. Obviously I was going to add the old line from “Big Daddy.” Whenever I get an opportunity to drop a quote from an Adam Sandler movie I’m going to take it. Let’s go ahead and jump right into our Fantasy Football Guide to Thanksgiving. We have reached the Thanksgiving Day game and the Chicago Bears, not Aaron Rodgers and the Green Bay Packers, not the Kirk Cousins led Vikings, but the Chicago Bears are in first place in the NFC North. The Bears clearly are playing for the postseason and looking to pad their division lead and the Lions, with what will probably be a last ditch effort to stay relevant this season as they will take the field at 4-6. This will probably make for a good match-up, and I will say this, the Lions typically show up on Thanksgiving and a desperate team can be a scary team. I think in the end the Bears squeak out a win, but how about fantasy the implications? I will be honest with you, I do not love either quarterback here. I know just a couple weeks ago Trubisky torched the Lions for 355 yards and 3 scores, but he now is nursing a shoulder injury, while on a short week, and the Lions will have Darrius Slay in the secondary. Somebody who was not their two weeks ago when they played. Ultimately it seems Trubisky will play, but I could definitely see them using him more for his legs this game than his arm. As for Stafford, he was sacked 11 times against Minnesota a few games ago. Well the Bears have this guy named Khalil Mack. Maybe you have heard of him? Lions have struggled all year to keep Stafford up right, and I think they struggle again this week. If you can, avoid both quarterbacks here. One would think with Trubisky's shoulder less than 100 percent, the Bears would rely on the run game. But if they do, who exactly are they relying on? We have unfortunately reached the point where Howard is considered touchdown dependent. This is a large fall from where he was 2 years ago when only Ezekiel Elliot rushed for more yards that he did. Yes, the Lions D has been in the bottom of the league this year, but they have been slightly better with the addition of Snacks Harrison. With Howard being a between the tackles runner, and Harrison now standing there, he once again becomes a tough play. I do like Cohen in this game. You could see him used a lot of the backfield in the passing game for quick easy shots if Trubisky plays with his shoulder hurt. On the Lions end of things, Kerryon Johnson is out for this Turkey Day matchup leaving the touches for Theo Riddick and LeGarrett Blount. If you are in a full league PPR, Riddick is a safe RB3/Flex play as he should see plenty of action in the passing game. Especially because it appears Marvin Jones is staring down the barrel of a second straight inactive. As for Blount, he will be your short yardage back, but more importantly goal line guy. If you’re looking for a dart throw, try Blount and hopes he cracks the goal line. I feel like a broken record, but with the short week and Trubisky's iffy shoulder, the only Bears pass catcher I feel okay playing is Trey Burton. Again, as a safety blanket much like Cohen. I know Allen Robinson blasted Detroit two weeks ago for over 100 yards and 2 scores, but they did not have Slay then. You can safely bet Slay will follow Robinson all game long. Sit Robinson again (like I said last week), but don't fret, better matchups lie ahead for him. There is only one pass catcher I am touching this week from Detroit, and that is Kenny Golladay. Again, Tate is gone and Marvin Jones is hurt. Start Golladay solely on volume potential and hope he finds the end zone for the third straight week. The Bears versus the Lions is like the mashed potatoes on your table. It’s not particularly exciting but it is very consistent and always an option on Thanksgiving. Every year the Lions are on TV and this year they are taking on the division leading Bears. I am not all that pumped to play anyone from this game. I am however playing Anthony Miller in all DFS formats. He holds more value on Draft Kings due to their PPR format but his usage in the red zone also make him a solid play in Fan Duel. Miller is also cheap enough to help with your more expensive players. Taylor Gabriel is another wide receiver from the Bears that I think could be a good play if you are entering in any tournaments. His big play ability can help propel your lineup up the scoreboard. If you need a cheaper player with a high floor the Lion’s running back Theo Riddick is in play. I agree with Ryan that Theo is safe. He has been seeing some extra targets in the passing game lately and with Kerryon Johnson looking like a no go, Riddick is a solid option on Draft Kings. Three weeks ago, this fantasy writer (and diehard Cowboys fan...) had all but written another Cowboys season off. Coming off a bye week, per Jason Garrett tradition, the Cowboys laid an absolute egg on Monday night football against the Titans in their own house. However, as I said earlier, a desperate team can be a scary thing and Dallas headed into Philadelphia just that and came out with a massive road win against the Super Bowl champs. Then this past Sunday, again on the road, the Cowboys kicked their way to a last second win. That now sets up this game of Cowboys and Indians as a first place game. Dallas still knows their backs are against the wall with already one loss to Washington, and a matchup with the Greatest Show on Turf 2.0 next week against New Orleans. This remains a must win and you have the Redskins coming in dejected after watching their quarterback take a devastating leg injury. This Cowboys fan knows firsthand not to overlook Colt McCoy as he came into Dallas and won 4 years ago, but this game, on a short week, with the high stakes, on Thanksgiving? This visit should not be as kind. Let’s break down the players. Again, we have a matchup here where I am not in love with either signal caller. Backup Colt McCoy is at the helm for Washington against a Dallas defense that did not give up a touchdown to the high powered Falcons offense until 1:51 left in the game. Add that with a short week, McCoy is not an option for fantasy. Then you have Dak who has been more of a game manager than the guy who won rookie of the year 2 years ago, but has been much better since the arrival of Amari Cooper. Again, I would avoid both of these quarterbacks if you could, but if you’re desperate, I would lean more towards Dak. Adrian Peterson actually found decent success against Dallas a month ago, rushing for 99 yards. This time around his offensive line is in even worse shape than it was that game and Dallas will probably game-plan to stop AP and force McCoy to take to the air. Dallas also has a top 5 rush defense. AP is a touchdown dependent desperation play this week. Zeke has been on an absolute war path the past two games. That will be tough to maintain against a stout Washington run defense. But, if they can get just a little pass game going with Amari in the lineup now, it will open up more lanes for Zeke. Plus, Zeke is always a threat to score and you just cannot take him out of your fantasy lineup. Josh Norman never follows receivers from side to side so there is no worry about him shadowing Amari Cooper all game. I think Dallas will move him around for this reason and feed him. I also really like Beasley this week. He had a good game Sunday against Atlanta and with the Redskins strong defensive front, I could see Dak looking to get rid of it fast, and Beasley would benefit from that. I would start Cooper with WR2 confidence and Beasley with WR3/Flex confidence. Much like the Redskins offensive line, their wide receivers are beat up. Paul Richardson is out for the year and Jamison Crowder looks highly questionable again. With McCoy now at the helm, you have no reason to have any confidence to start any Washington receivers. I would still send Jordan Reed out if you have him. Dallas occasionally has struggles covering tight ends and McCoy may rely on Reed heavily. He will be a safe start. Just a quick note, if your fantasy defense is on a bye this week, you could probably do a lot worse than picking up and starting the Dallas D. Expect a handful of sacks and hopefully a turnover and low point total. In the afternoon the Washington football team will face off against the Cowboys. This game reminds me of the stuffing that’s a must have side on Turkey Day. Dallas plays every year but they aren’t always predictable. Stuffing is much like that, it’s there every year but it can taste different depending on who made it. I personally love stuffing and I love a few players in this game for the Turkey Day DFS players. Ezekiel Elliot is a must play. Fit him into any lineup you make. Doesn’t matter what platform or what format. Elliot has been an absolute beast lately and you know Zeke will eat on Thanksgiving. Elliot’s teammate Amari Cooper is also a good play. Coming off a less than stellar game he could be lowered owned than normal making him more valuable in tournaments. Also I think Cooper is better on Draft Kings due to his high target possibility. Washington Tight End Jordan Reed is the TE you want to play in cash games. He has the highest floor on the slate and could be McCoy’s go to. My dark horse pick of the entire day is Washington’s wide receiver Trey Quinn. In his first game back from injury he recorded 4 catches for 40 plus yards. He caught all his targets and could quickly become the team’s best receiver. He comes with some risk but Mr. Irrelevant could be the key to a high score this Thursday. So this game won't be as wild as Monday Night's 54-51 barn burner out in LA, but it should still be high scoring nonetheless. The Saints appear to be destined to at least reach the NFC Championship game and this is the Falcons last chance to remain relevant this season. Plus, their bread and butter is their offense. Even on the short week this should be an offensive clinic, but the Saints are just better and they should head to 10-1 while putting the nail in the Falcon's season coffin. Also quick and easy. Start both Saints running backs with confidence. As for Coleman, I don't love him as much in non PPR leagues. This game will be decided through the air so his touches may be limited. If your league is PPR, Coleman becomes a solid RB2 as he has always been strong in the passing game. Julio Jones is an obvious play. As for Calvin Ridley and Mohammad Sanu, I would rank them as WR2 and WR3/Flex respectively. Again, this game will be an air show. The pass catcher from Atlanta that I would not play is Austin Hooper. Saints actually have been quite tough against opposing tight ends, ranking in the top 5. Just a week ago, they held Zach Ertz to only two catches. Find someone besides Hooper this week to start at tight end. Why is it that it still seems like Michael Thomas does not get the recognition that he deserves? He has put up a monster season as he has already surpassed 1000 yards receiving and has 8 scores. Atlanta offers up another mouth watering matchup. As for Smith, he has been boom or bust, with a boom coming just last week. I know the Saints just signed Brandon Marshall, but I do not expect him to be fantasy relevant at all the rest of the way. If you’re desperate, you could do worse than Tre'Quan Smith this week. The National Football League saved the best game for last. The Atlanta Falcons play the New Orleans Saints in a NFC South showdown. Speaking of favorites, my favorite side at Thanksgiving is the green bean casserole. Regardless of how it is prepared I always have seconds…or thirds. I am looking forward to this game almost as much as I am looking forward to the green bean casserole. I will be stacking this lineup in any DFS contest I enter. Drew Brees is as consistent as can be and is a lock in cash. His QB counterpart Matt Ryan isn’t a terrible option either. Obviously Michael Thomas, Julio Jones, Alvin Kamara, Mark Ingram are all strong plays. Ryan pretty much covered how much talent is going to be in this game. I do have two lower caliber options to help complete your lineup. Mohamed Sanu is the slot receiver for the Falcons and the slot happens to be a weakness for the improved Saints defense. I think there is a strong chance that Sanu scores. Speaking of the Saints defense I think that they are the best play in cash. They have looked like a force at home and given their low price tag, the D/ST can help you squeeze in that extra talent into your lineup. This game should provide some fireworks after you wake up from your afternoon turkey nap. There you have it, your BSoT official Fantasy Football Guide to Thanksgiving. Good luck to everyone who is playing fantasy this week (except for anyone playing against me.) And have a wonderful, safe and fun Thanksgiving. Enjoy your family and friends and be sure to take a minute to think about what you are grateful for. Enjoy your traditions. Enjoy football. But most of all make sure your cranberry sauce is shaped as a gelatin can or you've ruined Thanksgiving. Just know that. Oh! And you should also be grateful for this incredible fantasy guide for you turkey day!